Yesterday the Spoetnik Symposium was held (see my previous announcement here). SPOETNIK was a 17 week course on NEW (web 2.0) internet communication methods for librarians. The main target group consisted of UBA (University Library of Amsterdam) librarians. In total, there were more than 160 course members, each having his own blog. The organizing UBA-spoetnik team, organized the Spoetnik symposium to learn from each other what has been done with the knowledge obtained a half after the course had finished. The symposium started a few minutes later because Jacqueline was a bit late: she had to take off Laika’s astronaut suit (well kind of, she torn her new pantyhose and had to find a new one (that didn’t fit), she dubbelchecked whether she took her USB-stick with her and she forgot her glasses). It could have been worse, because it was just a few hours in advance that Jacqueline found out that the meeting was not in THE Doelenzaal at the Kloverniersburgwal but in the (also beautiful and old) Doelenzaal (zaal = room) in the UBA (main library of the University of Amsterdam). Of course, everyone else just knew this. That underlined the feeling that the Academical Medical Center and most other departments of the UBA are both physically and mentally apart, although still connected. Although George doesn’t want to be in the picture, he was mentioned in the introductory speech of Robin as one person that ‘meant a lot for the course’. That is certainly true. You need some active contributors to inspire the rest. Besides George was the first to create an OPML-feed of all blogs (together with Pascal) which made it a lot easier to keep up with all Spoetnik blogs. My talk was next. In 15 minutes I had to outline “Blogging after Spoetnik”. How did I continue when the course was finished? Here is my powerpoint presentation. The theme I choose was “Blogging is navel gazing?!”. I notice that many people (including myself in the pre-web 2.0 phase) consider blogging as something egocentric, just an outlet for one’s feelings and frustrations, or hobbies and thoughts. What I hoped to show is that web 2.0 is not just a set of web 2.0 tools, but it is a whole philosophy. It is the philosophy of gaining momentum when sharing. But to do this you have to be patient, you must have a story to tell (content) and than you have to find readers, else you will remain ‘lonely’. I recommended twitter as a very good source to build up a community, if you use it the right way (find people to share things with). Although I have to say that it is a lot easier for me, as a health 2.0 blogger to find a large global community than someone specialized in Dutch linguistics. Thus I feel committed to write an introduction on how to use Twitter effectively. Preferably in Dutch: at least 2 UBA colleagues spontaneously said they regret that I had changed to English. Alice told us the origin of Spoetnik and gave an overview of the opinions of many other well known Dutch librarians about the course. The comment of Wowter was missing however, possibly because he expected Alice to use a web 2.0 way of finding it (Feeds and Twitter). (You can read his -Dutch- comment here). Many other libraries will follow the example of Spoetnik and 23 Dingen, although in a shorter version. Pascal showed us that there were many new web 2.0 tools ( a few slides with last week’s additions), but according to Pascal none of them was really new, but all variations on a theme. He did whisper that he had a new twitter-firefox api for me, so I hope he will provide me with further details. In between we discussed in groups what we had learned from the course, what we liked and didn’t like about different tools. Using Google Docs, we brainstormed about how we could implement web 2.0 tools in our library, UBA-wide. A very interesting part of the program, this exchange of thoughts. Robin gave a quick overview of the ideas, but shortly all input will be available at the Spoetnik-website together with the presentations. The Spoetnik course has been a success, this meeting was a success and hopefully the implementation will also be a success. As Bert said: step by step. Rome wasn’t build in a day. Besides most UBA people are now involved in the implementation of a new program: Aleph. This has to be handled first. As can be read in the ‘About’ section, this blog was started as part of the online course SPOETNIK on NEW (web 2.0) internet communication methods for librarians. The main target group consisted of UBA (University Library of Amsterdam) librarians. In total, there were more than 160 course members, each having his own blog. Now, a half year after the course finished, the organizing team, UBA-spoetnik, organizes a symposium to learn from each other what has been done with the knowledge obtained. Does web 2.0 knowledge matter to your work and/or daily life? Do you use RSS to keep abreast of the latest developments in your area? Did you catalog all your books in Librarything? Did you continue blogging and is your blog becoming popular? 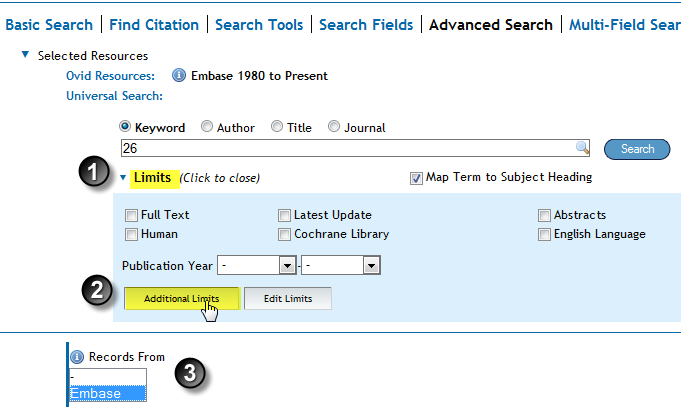 How will new applications affect library service? These are the questions that will be addressed November 26th in a nice old building in Amsterdam, de Doelenzaal. I’m very excited to meet my Спутник in real life. Although we organized a small meeting directly after the course, I couldn’t attend it. I hope that many Спутник will be there now. For those Спутник reading this posts and coming to the symposium, are there any issues you would like me to address in my short presentation “Blogging after Spoetnik”?? You can mail me or give a comment here. See you at the symposium. Dit blog werd gestart als ‘n onderdeel van de online cursus SPOETNIK over nieuwe web 2.0 communicatiemethoden voor bibliotheekmedewerkers. De cursus werd georganiseerd door de UBA (Universiteitsbibliotheek van Amsterdam) en richtte zich vooral, maar niet uitsluitend) op UBA-medewerkers. In totaal, deed een onwaarschijnlijk groot aantal cursisten mee: er zijn wel meer dan 160 blogs aangemaakt. De voorloper van deze cursus, 23 dingen, was even succesvol, hetgeen aangeeft dat dergelijke cursussen toch in een behoefte voorzien. Een behoefte die ik zelf niet echt onderkend had. Ik deed gewoon maar mee om te kijken of ik er wat van opstak. Wat web 2.0 of bibliotheek 2.0 nou voorstelde, ik had er geen idee van. 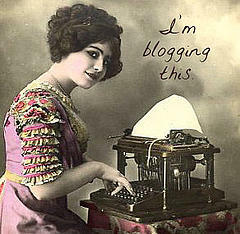 En blogs? Niet interessant, ik las ze nooit. Maar nu ben ik 180 graden om. Ik vind het dan ook heel leuk dat de organisatoren een half jaar na het afsluiten van de Spoetnik-cursus het “Sinds Spoetnik” Symposium (prachtige alliteratie) organiseren (zie hier). Het enthousiaste UBA-team bestaat, voor wie het nog niet weet, uit Alice Doek, Pascal Braak en Olga Marx (welke laatste mij via Bert Zeeman het boekje “Laika tussen de sterren” -met mijn avatar als voorpagina- heeft doen toekomen). Wat is er sindsdien gebeurd met de opgedane kennis ? Welke rol speelt de ‘webstof’ op het werk of in je privé-leven? Gebruik je bijvoorbeeld RSS-feeds om op de hoogte te blijven, staat je complete boekencollectie mèt omslag op LibraryThing, maak je furore met je blog? Hoe zullen de nieuwe toepassingen onze dienstverlening beïnvloeden? Ik kijk met spanning uit naar de RL ontmoeting met mijn Спутник. Hoewel ik mede een borrel had georganiseerd na de Spoetnikcursus, heb ik het zelf toen moeten laten afweten. Erg jammer. Ik had toch heel graag mijn vaste Спутник ontmoet. Hopelijk lukt het nu. Voor die Спутник die dit bericht lezen en naar het symposium komen: zijn er nog zaken waarvan jullie willen dat het in mijn presentatie “Bloggen na Spoetnik” aan de orde komt? Of laten jullie je liever verrassen? Zie jullie allen real life op het symposium!! I just rewrote the “about” section, saying that this blog was started as part of the web 2.0 SPOETNIK (EN: Sputnik) course, that I saw this blog as an experiment, but that I am now irreversibly infected by the blog/Sputnikvirus. Wait a minute…!! A virus that ‘lives’ from an other virus and takes over his replicating machinery? This means that the virus that is being ‘infected’ (the mamavirus) is a living organism??? But viruses are ‘dead’, at least that is what I learned. Definition of a virus in one of my studybooks (Genes IV, Benjamin Lewin, 1990, p41). Thus ‘per definition’ viruses are not alive ànd they do not infect other viruses?! But what is in a definition/name? According to Aristotle a definition of an object must include its essential attributes or its “essential nature”. However humans may only observe part of the essential attributes, especially when it concerns the infinitely small or infinitely large (which limitates the accuracy of our observations). Nature made his own definitions/categorizations and we just trying to find the rules, if any, to bring some order into chaos. But in science rules and concepts can be falsified and this rule may be one of them. As you can see from the scheme above (from wikipedia) the classification of living organisms has never been rigid and as time goes more ‘kingdoms’ have been discovered. encodes some genetic products previously not known to be possessed by any virus (and lacking from some bacteria) enabling it to code for metabolic pathways itself. can be infected by a virus (or “virophage” in parallel with “bacteriophage”). Besides the what-is-a-living-organism-issue the discovery of the Mimi-Sputnik virus couple raises some other interesting points. The paradigm that viruses are evolutionary latecomers, evolving as parasites after the archaea, bacteria and eukaria had formed is challenged by comparative genome-analysis which suggests that the virus world is the most ancient. There is an abundance of Mimi-like genetic sequences in the (virus-rich) ocean leading to a suspicion that giant viruses are a common parasite of plankton. Although Mimiviruses primarily infect amoeba, antibodies have been found to the virus in some human pneumonia cases. 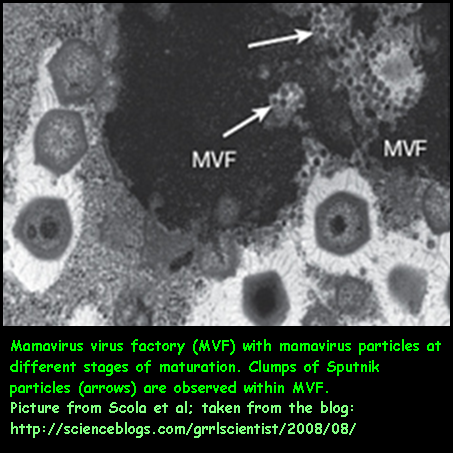 If these mimiviruses have their own satellites…. then this might perhaps be therapeutically exploited against large DNA viruses in human. ¹The Sputnikvirus has been detected by the team led by Jean-Michel Claverie and Didier Raoult (CNRS UPR laboratories in Marseilles), the same team that identified the mimivirus as a virus. about the origin of viruses and their presence in the sea: again…. Ik heb net de “about” pagina herschreven: ik schrijf dat ik dit blog ben gestart in het kader van de web 2.0 SPOETNIK cursus, dat ik dit blog als een experiment zag, maar dat ik inmiddels voor altijd geinfecteerd ben met het blog/Spoetnikvirus. Toevallig las ik afgelopen zaterdag in het NRC dat er een echt Spoetnik virus is ontdekt.¹ Van de Spoetnikcursus weet ik nog dat Spoetnik in het Russisch metgezel betekent. Het virus kreeg deze naam omdat het zich samen met het mamavirus, het grootste virus onder de reusachtige minivirussen, in een amoebe ophoudt. Opmerkelijk genoeg is het Spoetnik virus helemaal niet in zijn eentje in staat om de amoebe te infecteren, maar heeft jij daarbij de hulp van het mimivirus nodig, in die zin dat Spoetnik de virusfabriekjes van het mimivirus inpikt om zichzelf te vermenigvuldigen. Met andere woorden, het Sputnik virus is in staat een ander virus te infecteren. Wacht even? !……… Een virus dat een ander virus infecteert en ‘ziek maakt’? Dat betekent dat het virus dat geinfecteerd wordt ‘leeft’. Maar virussen zijn dood, dat heb ik tenminste zo geleerd. Definitie van een virus in een oud studieboek (Genes IV, Benjamin Lewin, 1990, p41). Dus viruses leven per definitie niet en kunnen andere virussen niet infecteren?! Maar “what is in a definition/name”? Volgens Aristoteles moet een een definitie van een voorwerp/begrip essentiële elementen of de ware aard omvatten. Maar mensen zien misschien maar een deel van deze kenmerken, vooral als het om oneinig grote of oneindig kleine dingen gaat. De natuur maakt zijn eigen indelingen en wij proberen om wetten te achterhalen, voor zover deze er zijn, om orde in de chaos aan te brengen. Volgens de regels der wetenschap zijn wetten en concepten echter toetsbaar en falsifieerbaar. Dat virussen levenloos zijn zou dus ook ontkracht kunnen worden. Het al dan niet ‘levend zijn’ van virussen is geen nieuwe discussie. Sommige biologen zien virussen als niet-levend, omdat ze niet àlle belangrijke kenmerken van leven hebben, ze hebben bijvoorbeeld geen cellen. Virussen hebben echter wel genen en evolueren door natuurlijke selectie waardoor ze volgens anderen wel op het randje van het leven balanceren. codeert voor genproducten die niet in andere virussen voorkomen, het heeft bijv. genen die voor stofwisselingsroutes coderen. mist genen voor ribosomale eiwitten, waardoor het evenals andere virussen van de gastheer afhankelijk is voor de synthese van eiwitten. kan, zoals we hier hebben gezien, geinfecteerd worden door een virus (of “virofaag” in analogie met “bacteriofaag”). Behalve bovenstaande implicaties voor wat we ‘leven’ noemen, maakt het Mimi-Spoetnik-koppel nog meer discussie los. Op basis van vergelijkend genoomonderzoek lijkt het onwaarschijnlijk dat virusen evolutionaire nakomertjes zijn, maar meer dat ze aan de voet van de archaea, de bacteriën en de eukaryoten hebben gestaan. Er is heel veel Mimi-achtige genmateriaal in de oceanen gevonden, hetgeen zou kunnen betekenen dat reuzevirussen wel eens een algemene parasiet van plankton zouden kunnen zijn. Spoetnik-achtig DNA wordt óók in de oceaan gevonden. Misschien dat satelliet-virussen wel een slutelrol spelen in de regulatie van de hoeveelheid plankton. Hoewel Mimivirusen vooral amoeben infecteren, zijn antistoffen tegen dit virus ook bij enkele patienten met longontsteking gevonden. Als deze mimivirusen hun eigen satellieten hebben, kunnen deze wellicht ingezet worden tegen de ziekteveroorzakende virussen. 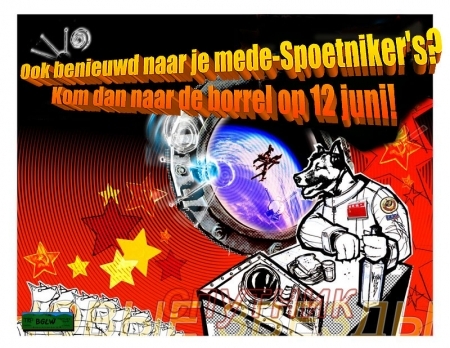 Nog een toevalligheid Er is een band sigue-sigue-sputnik met een (vrij heftig) nummer virus (album ray-of-light). ¹het Spoetnik- en het mimivirus zijn ontdekt door Jean-Michel Claverie en Didier Raoult (CNRS UPR laboratories in Marseilles) en zijn team. ²Niet alle bevindingen zijn echt even nieuw. Vòòr Spoetnik waren er al andere virussatellieten ontdekt, zoals de satelliet(virus)van tabaksmozaïekvirus. Door velen wordt zo’n virus niet als ect virus gezien, maar als subviraal beschouwd. In een vorige post (zie hier) had ik het over WORDLE, een programma waarmee je woordenwolken kunt maken. Het leek mij leuk om mijn Spoetnik-blogroll in een Wordle-creatie te vangen. Alle links die in mijn blogroll staan (stonden?!) bracht ik over naar Word en ik gaf gewicht aan de links door ze een aantal malen te kopieren, varierend van 1x tot 6x. De grootte van de woorden in Wordle is namelijk afhankelijk van hun frequentie. De woorden kun je in Wordle invoeren bij “create”. Wanneer de woordenwolk gecreeerd is kun je het aanpassen: lettertype, kleurenpalet en orientatie. Vervolgens kun je het in de galerij opslaan en printen, maar niet als figuur downloaden. Het is nl. gebaseerd op Java-script. Ik doe dat indirect via een programmaatje dat ik gekocht heb: SnagIt. Vervolgens leek het me leuk alle spoetnikblogs in een echte wolk te vatten. Ik heb wel de http’s en wordpress etc. termen erafgehaald. In eerste instantie had ik het niet aangepast aan mijn blogrollversie, met als gevolg dat iemand onder 2 namen kon voorkomen oefenings~40’s~blog of oefening40. Vervolgens heb ik alleen de officiele spoetniknamen (webadressen) aangehouden. Alle blogs die geen belletje bij me deden rinkelen noteerde ik 1x, blogs die dat wel deden 2x en blogs die op mijn blogroll voorkwamen minimaal 3x. “Opgeheven” heb ik maar laten staan en blogs waarvan ik weet dat ze onder een andere naam gehandhaafd zijn heb ik ook vermeld: Een Beetje Adjunct (http://zeemanspraat.wordpress.com/ van Ubabert) en FNWI nieuwbouw beta bibliotheek (http://betabieb.wordpress.com/ van Zygomorf). Vanzelfsprekend is het gewicht dat ik eraan toegekend heb geheel persoonlijk. 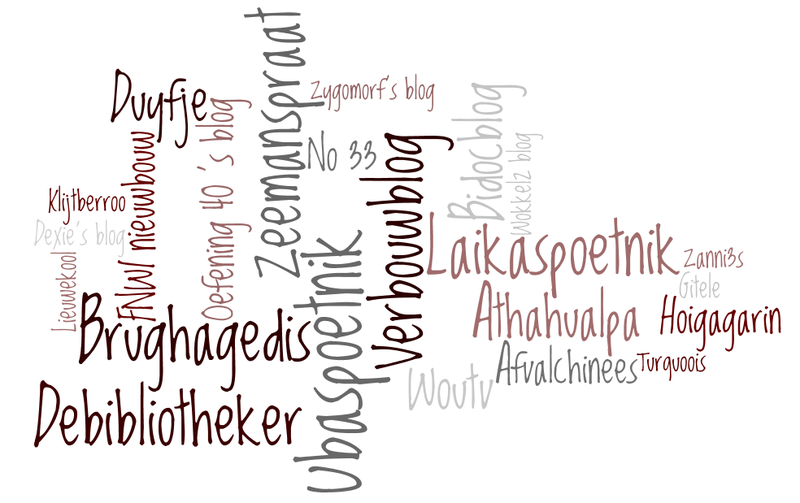 Wordle is vooral fraai, het maakt woordwolken, blogrolls, tagsclouds e.d. tot een kunstzinnig object, een tastbaar iets. Helaas zijn de namen niet aanklikbaar, dus als blogroll heb je er niet veel aan. Wil je de plaatjes beter bekijken, klik er dan op en kijk of je naam erbij staat. Nu ik de blogroll bekijk, bedenk ik wel dat deze niet meer uptodate is. Veel mensen onderhouden hun Spoetnikblog niet meer. Aan de andere kant heb ik nu andere blogs leren kennen die èn actueel zijn èn op mijn interessegebied liggen. Daarom ga ik links van Spoetnik-blogs verwijderen, voorzover ze niet meer bijgehouden worden om ruimte te maken voor andere blogs/links. of ik je misschien vergeten ben en je wel op mijn blogroll wilt staan? of vertel hier even hoe het met je gaat, heb je ook een “after-spoetnik-dip”? of is het leven er alleen maar zonniger op geworden tijdens je vakantie en na de spoetnik-drukte? Niet UBA-deelnemers: 1. hollander68 2. wondersteen 3. hobbeltjes 4. ratafurell 5. tandory 6. no33.nl 7. evantee 8. peepastinakel 9. annajo 10. makok 11. gertiebastiaansen 12. ubautist 13. happinez 14. /wimam 15. maaikemo 16. calypta 17. gevleugeld 18. sotoha 19. xspainter 20. aagjedeboer 21. hoigagarin 22. rovingreports 23. bibliotheekheb 24. mariettevandepoll 25. chuqui9 26.leefsma 27. http://vooruitkijkengodelieveengbersen.blogspot.com 28. http://riamuisje.wordpress.com 29. http://pulpje.wordpress.com 74. Like to know what this is all about?? 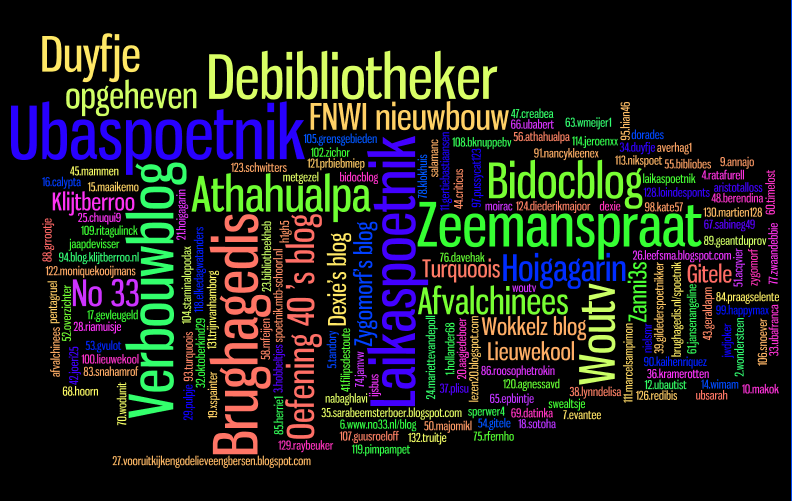 I’ve made a word cloud of the blogs of the online course SPOETNIK on NEW (web 2.0) internet communication methods for (dutch) librarians. First I made a cloud of the spoetnik blogs that were on my blogroll, then I made a cloud of all Spoetnikbloks including all cancelled ones (“opgeheven”). However, I decided not to leave all Spoetnik blogs permanently on my blogroll for purely nostalgic reasons, but to remove those blogs that are poorly maintained or in a dormant state. 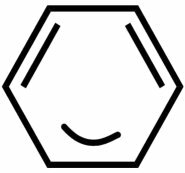 On the other hand I will soon add some blogs that I’ve been into lately, mostly on the field of medical librarianship, medicine and science. If you’re interested in Wordle, you might take a look at my previous post on this subject or go directly to Wordle to create your own word-cloud. Google docs as a way to publish spam!! I just learned how to use Google docs for sharing and publishing documents. 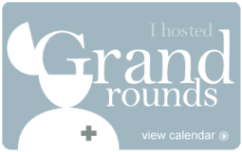 Yesterday I received an email-invitation by someone unfamiliar to share a Google-doc. The doc was called Spoetnik X document, where Spoetnik X is a fellow course member. The document owner is not allowing collaborators to invite other people. Meanwhile a commercial site had visited my blog consulting the same page twice. A page with one comment …made by X! When I revisited the Google Doc some time later, the number of obscure cooperators had increased. X had become one of them. This did it. I tried to reach X in vain and deleted the doc. Now I could be wrong, maybe it was just a joke. So I googled: google docs spam. The result: almost 5.000.000 hits, most of them warning “Google Docs Being Used for Spam“. Apparently it is an easy way to circumvent spam filters. Today I contacted the commercial site and they promised to check if their webforum had been misused. Earlier I wrote that G-mail was vulnerable to spam. But it seems that more Google apps are at risk. Want to read more? Here is an excerpt from VNU-net, written by Robert Jacques on June 3th! […..] Spammers are instead moving towards the exploitation of free mainstream hosted services such as Google Docs, Google Calendar and Microsoft SkyDrive. “The savvy and accurate cyber-criminals of today seem to have abandoned the attachments tactic that was so innovative in late 2007 and are exploiting free hosted applications which have become mainstream in 2008,” said Mark Sunner, chief security analyst at MessageLabs. 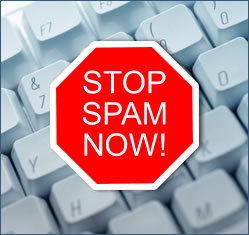 “The spammers are taking advantage of the fact that these services are free, provide ample bandwidth and are rarely blacklisted. MessageLabs intercepted spam emails in May which contained links to spam contained in documents hosted on the Google Docs environment. Gedurende de Spoetnik cursus had ik net kennis gemaakt met Google docs. Heel handig om documenten te delen en te publiceren. Toen ik gisteren een doc kreeg met de naam van een Spoetnikcollega keek ik wel een beetje raar op. Ik kende de afzender niet, maar ja namen van blogs en gmails stroken vaak niet geheel met elkaar. Dus ik dacht, is misschien wel een document om X mee te verassen. Toen ik later nog eens naar het Google Doc ging kijken was het aantal onbekende samenwerkers toegenomen. X stond er zelf trouwens ook bij. Dit deed de deur dicht. Nadat ik X vergeefs had proberen te bereiken, verwijderde ik het doc. Of was ik paranoide? Misschien was het gewoon een grapje. Even checken op Google: google docs spam. Huuu, bijna 5 miljoen hits, bijna allen waarschuwden ze ervoor dat Google Docs als spam gebruikt kunnen worden. Het is nl een hele mooie manier om spamfilters te omzeilen en om de links (na publicatie) heel effectief te verspreiden. Ik heb wel met de commerciele site gemaild en kreeg direct antwoord dat ze vreesden dat iemand hun webforum had misbruikt. Ze zouden het proberen uit te zoeken. Eerder had ik al gemeld dat spammers de beveiliging van G-mail gekraakt hadden. Nu blijkt dat alle Google-apps kwetsbaar zijn. Nou ik ga dus nog voorzichtiger worden. De precieze locatie en tijd wordt nog door loting vastgesteld. Bij deze nodigen we iedereen uit om ook van de partij te zijn. Het Spoetnik-team is vanzelfsprekend ook van harte welkom, al is het maar om inspiratie op te doen voor de grote Spoetnik-reünie na de zomer. Wij willen het informeel houden. Het is dus geen officieel Spoetnik-evenement, en het is ons om het even of je alle opdrachten hebt gedaan of niet. Misschien zetten we een bordje op tafel waaraan je ons kunt herkennen. Als er niet genoeg ruimte blijkt, wijken we uit naar een andere gelegenheid. Suggesties zijn welkom. Hopelijk is het mooi weer, dan kunnen we buiten zitten. Tijdens de cursus hebben velen alleen virtueel met elkaar contact gehad. Misschien was dat ook wel het beste, maar misschien klikt het in het echt ook en kan er ‘iets moois’ uit voortkomen. 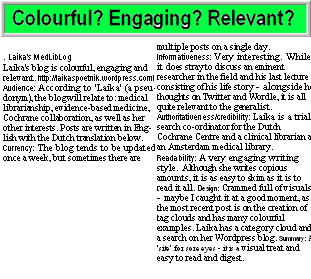 In a previous post I mentioned that the MLA (medical library association) 2008 meeting was covered by official conference bloggers and that these advanced medical-library-bloggers applied all the tools that we learned during our Spoetnik course. I gave the name of 3 MLA-bloggers, just the ones that I already knew. When adding the other 7 to my feed I found out that at least 2 of these bloggers were newbies like us (Spoetniks) as well. On their blogs they make mention of their experiences with a web 2.0 MLA course. It seems that these web 2.0 courses are in great demand, especially (?) among librarians. Here are the names of the 2 newbie-bloggers. I found it interesting to read their experiences with a spoetnik-like web 2.0 course. The programs diverge in details (i.e. they cover mashups as well), but overall the experiences are very similar.